In one of his many tweets this week, President Donald Trump blamed Amazon for the death of American retail industry. "Amazon is doing great damage to tax paying retailers. Towns, cities and states throughout the U.S. are being hurt - many jobs being lost!" Trump wrote on Twitter. Amazon is doing great damage to tax paying retailers. Towns, cities and states throughout the U.S. are being hurt - many jobs being lost! With Amazon's strong foray into grocery, we can expect more tweets to come. Small-town grocery stores are already in trouble. They have been for some time, but now they see the dire writing on the wall. Most attribute their troubles to a nearby Walmart, which is often strategically placed near the highways and accessible by multiple counties, but some are struggling even with no Walmart nearby. With limited resources, grocery stores in rural America simply cannot match the low prices of bigger chains and online competition. Kansas State University started tracking the state's rural groceries in 2007 and has recorded the loss of 43 of the 213 rural groceries in the 10 years since. Two out of every five Kansas counties suffer from a lack of grocery stores, with the nearest being at least 10-12 miles away. In Iowa, towns with fewer than 1,000 residents have been without grocery stores since the 1990s. For the poorer families and ones who don't drive, this is a problem indeed, as it is for the elderly population in these areas. The disappearance of the local grocery store leaves too many people vulnerable and negatively impacts other businesses in the area as well. These events, in turn, affect schools and the survival of the community as a whole. 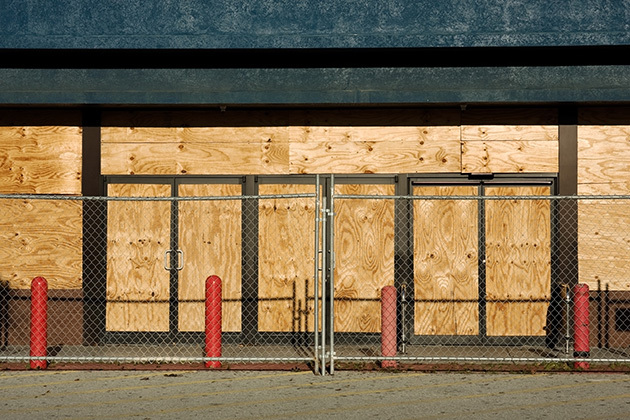 For the existing store owners, survival is difficult. If they give in and decide to sell, there are no takers. Even if someone is interested, they don't have the support of the banks — who, to be fair, are not confident about investing in small town grocery stores. Clearly, it is not possible for these small business owners with their limited resources to turn the tide alone. But all is not lost, and we have some encouraging stories that give us hope. In Kansas, nonprofit group Thrive Allen County is helping grocery stores through a co-op effort via grants and low-interest loans. Some are looking for angel investors who have an interest in preserving the community. Local governments are also stepping in. A G&W Foods store in Kansas is getting help from the county to provide an alternative to the Walmart with a local, standalone grocery store. City councils and county boards are also helping by offering low-interest loans and tax abatements. Even in big cities, grocery stores have to come up with innovative solutions to survive. There is too much competition for them to be complacent. One thing that has seen success across brands is the introduction of hangout places inside the stores. Whether it is in the form of in-store bars, pubs or small delis, this strategy of offering people a chance to hang out, eat and drink for a much lower price than a restaurant is working. If their rural counterparts can start implementing a similar strategy, then they can stay in the black for a longer time. With no grocery stores in town, people will have to drive long distances or depend on gas station food — which is as bad for their health as it is for their pockets — for survival. If they have a better option in the form of a grocery store with a restaurant, customers would jump at it. Bambi Majumdar has over 18 years of industry experience in journalism, PR, and marketing communications. She is passionate about bridging the gap between the audience and brands via meaningful content. She has contributed articles to The Economic Times, the leading financial daily of India, among others. She is also active on the board for several business organizations that focus on helping small business owners and women achieve more in their respective fields. Is overprescribing really to blame for antibiotic resistance?